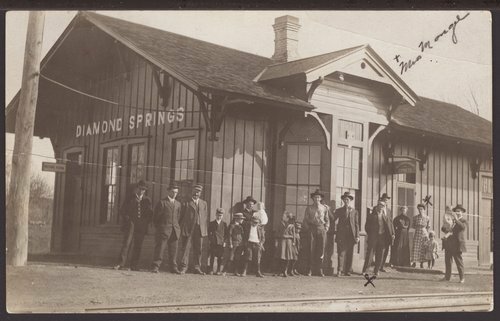 This sepia colored postcard shows the Atchison, Topeka and Santa Fe Railway Company depot at Diamond Springs. The one-story structure was located approximately fifteen to twenty miles northwest of Strong City, Kansas. Families and other passengers are waiting at the station.